More 20+ pound gobblers fell to youth hunters across the Carolinas this past week. Youth hunters from the Carolinas continued the trend of killing some big gobblers in the past week. And that includes another one with multiple beards. 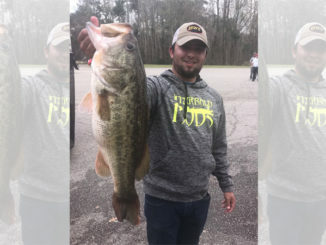 Colten Hager from Mooresville, N.C. was hunting in Cleveland County when he killed a double-bearded 24-pound, 7-ounce gobbler. The two beards measured 11 inches and 9 1/2 inches. The bird had a 1 1/2-inch spur and a 1 1/4-inch spur. 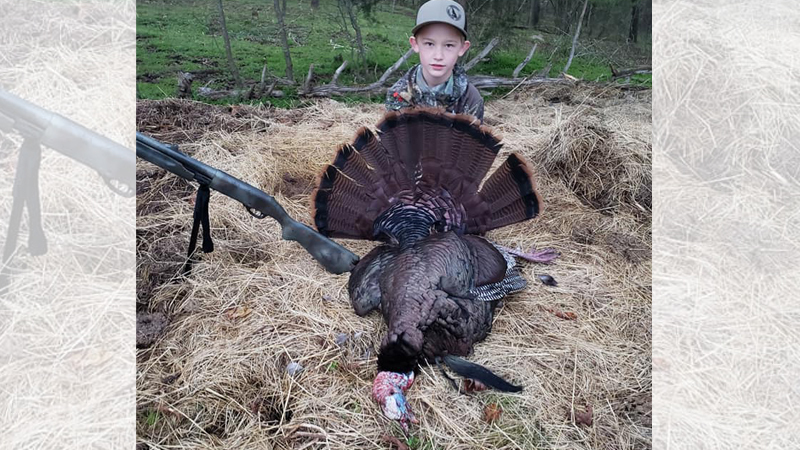 The 8-year-old was patient, passing up several smaller toms and jakes while waiting on the big gobbler that he had picked out as his target. Colten Hager’s Cleveland County, N.C. gobbler weighed more than 24 pounds and had two beards. 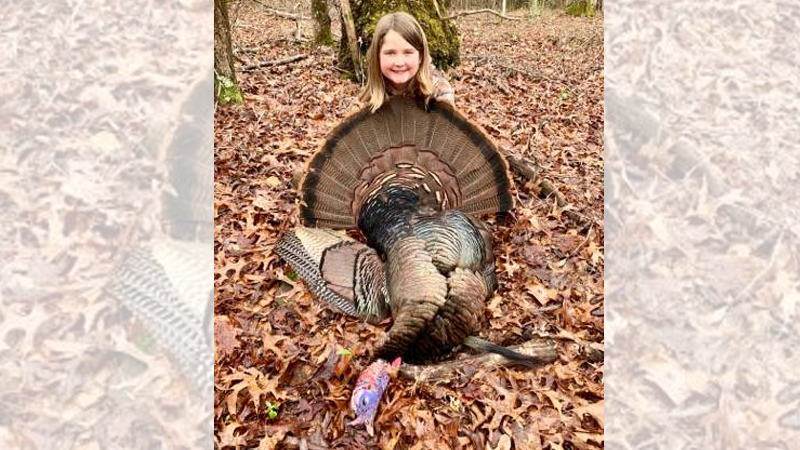 Seven-year-old Julianne Leahew of Tega Cay, S.C. went on her first ever turkey hunt this past weekend. She’s a beginner no more! Hunting in Lincoln County, N.C., Leahew killed a 23-pound, 10-ounce gobbler that had a 10 3/16-inch beard and 3/4-inch spurs. 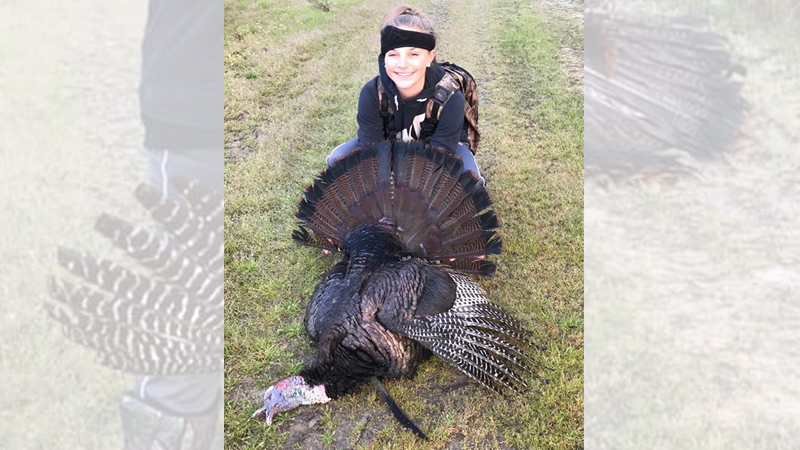 Julianne Leahew of Tega Cay, S.C. killed this 23-pound, 10-ounce gobbler in Lincoln County, N.C.
Reese Penny, 12-years-old from McGee Crossroads, N.C., killed a big one Sunday morning. 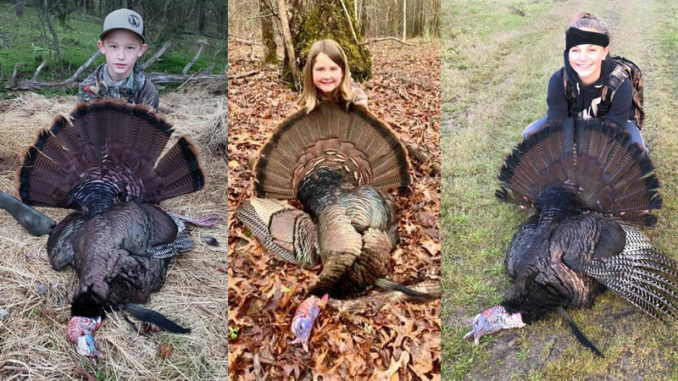 She was hunting with her dad (her “favorite hunting guide and pack mule”) from a popup blind in Northampton County when she laid the hammer on a 21-pound, 13-ounce gobbler. The bird had an 11+ inch beard and 1 1/4-inch spurs. Penny pulled the trigger as the tom was checking out her Funky Chicken decoy. Reese Penny of McGee Crossroads, N.C. with the 21-pound, 13-ounce gobbler she killed in Northampton County. South Carolina’s turkey season is in full swing. 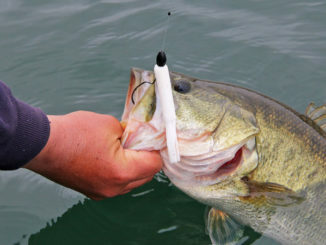 It runs through May 5 throughout the state. 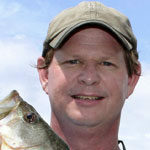 North Carolina’s youth-only season runs through this Friday, April 12. 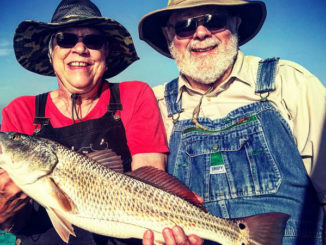 Then it opens to all licensed hunters from April 13 until May 11.